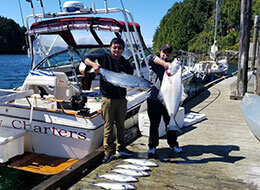 Experience the best Salmon and Halibut fishing charter in Ucluelet, BC with Paul and Castaway Charters. 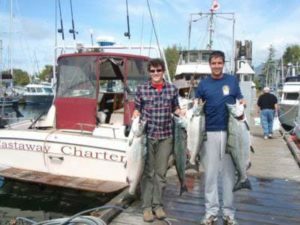 Located on the West Coast of Vancouver Island, Castaway Charters offers fully guided fishing charters in some of the best salt water fishing grounds in the Pacific Northwest. 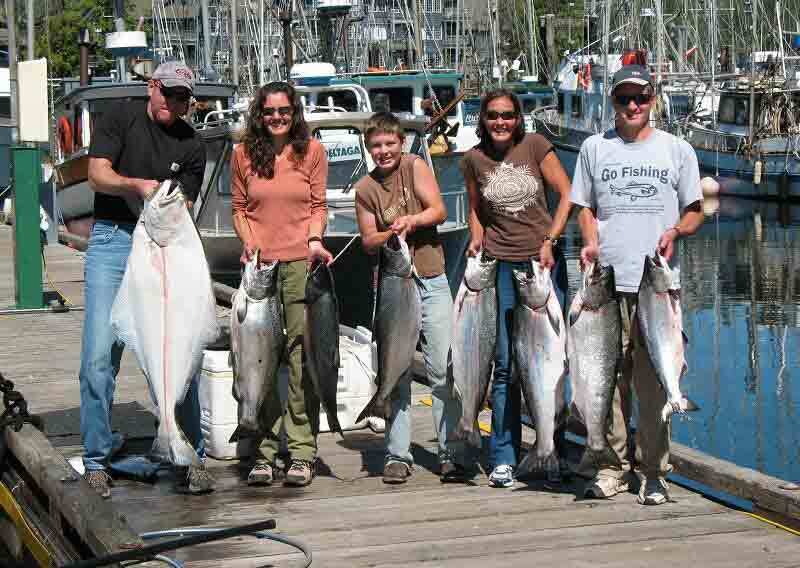 Catch your limit of Salmon, Halibut, Ling Cod, and Rockfish amongst the stunning scenery of the Pacific Ocean and Coastline. Be prepared to see whales, sea lions, bears, eagles, and other marine wild life on your fishing adventure! Castaway will match any local comparable rates and guarantees. Paul Grimston has owned Castaway Charters for over 18 years! Check out the pictures and exciting videos from my many charters. 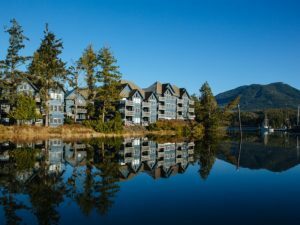 Ucluelet has a number of friendly and affordable accommodations. Get Ready To Discover Fishing Paradise! Castaway Charters’ 32 foot Luxury Sport Fishing Yacht awaits you at the main dock in Ucluelet beside the Canadian Princess Resort. Captain Paul, owner/operator says, “As soon as we arrive at one of my favorites spots, you’ll begin fishing with Castaway’s top of the line fishing equipment and tackle.” Get ready to start reeling! Captain Paul will ensure that you’ll be comfortable, safe, and more than satisfied with your fishing trip with Castaway Charters. 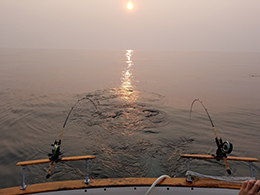 Heading into his 18th year of fishing in the waters of Ucluelet, Paul guarantees you will be leaving with a cooler full of fresh fish, and memories that will last a life time. Captain Paul says . . .
We are dedicated to providing an exciting and professional service that will accommodate every kind of charter, from casual trips to corporate functions. Castaway Charters will also match any local competitor’s rates and guarantees. Contact Us For The Best Fishing Dates!